Although it’s priced at $37,300 MSRP*, it’s safe to say that the 2019 Acura RDX is in a league of its own. 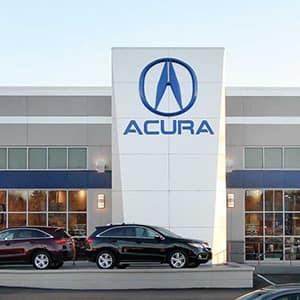 Although this celebrated crossover SUV sports an advanced powertrain, tons of exciting connectivity features, and a well-appointed, comfortable interior, the writers at Kelley Blue Book are correct in noting that “One of the best attributes about the new RDX is its roster of safety and driving systems, collectively known as AcuraWatch, and standard on every model.” No matter wherelife is taking you, you’ll be protected from the most dangerous surprises and distractions by Acura RDX safety features. The 2019 Acura RDX safety ratings are not yet known, but a look at its standard safety features is enough to reassure the most seasoned skeptics: the RDX is one of the safest SUVs on the road. By making the AcuraWatch safety suite standard across all RDX models, the engineers at Acura have gone a long way towards making the roads safer for everyone! Collision Mitigation Braking: It’s difficult to maintain a perfect view of the road ahead or to time every response without error. The RDX’s Collision Mitigation Braking System provides an extra line of defense against surprises, and it can even bring you to a complete halt in the event of an emergency. Adaptive Cruise Control: Almost every driver appreciates cruise control, but its utility disappears whenever traffic becomes a problem. Adaptive Cruise Control (ACC) uses your preferred speed and follow distanceto keep you moving with the flow of traffic and bring you up to speed when the road clears. Lane Guidance and Security: AcuraWatch includes a Lane Departure Warning, a Road Departure Mitigation (RDM) system, and a Lane Keeping Assist System (LKAS). The first of these beeps if you try to change lanes without using your turn signal. RDM and LKAS use cameras to keep track of the road around you, gently guiding you toward the center of your lane whenever necessary. Head-Up Warning: Safety features should never add to the myriad distractions that drivers face on the road. That’s why Acura has designed the RDX with an available Head-Up Warning system, which displays AcuraWatch settings and warnings directly on your windshield. Even without the advanced driver aids included in the AcuraWatch package, the RDX’s standard safety features are impressive. Its active and passive protections give you more time to avoid collisions and greater security during unpreventable accidents. Next-Generation ACE: Next-Generation Advanced Compatibility Engineering allows the RDX to stand up to accidents that would devastate other vehicles. The technology works by transferring the most dangerous collision forces away from passengers and towards portions of this SUVs frame that are designed to collapse on impact. Vehicle Stability Assist: The RDX’s more-than-capable powertrain isn’t the only feature that makes this crossover so fun to drive! Even the RDX’s baseline trim sports Vehicle Stability Assist (VSA) with Traction Control, Motion Adaptive Steering, and Agile Handling Assist. Drivers can also equip the model they choose with Super Handling All-Wheel Drive. Braking and Control: The ability to stop on command is, of course, an essential part of vehicle safety. Each RDX comes equipped with a 4-Wheel Anti-Lock Braking System, Electronic Brake Distribution, Brake Assist, an Electronic Parking Brake, and Automatic Brake Hold technology. For safety’s sake, there’s no substitute for a clear view of your surroundings. The RDX comes standard with bright, automated LED headlights as well as numerous sensors and cameras. Together, they’ll help you manage the daily surprises and challenges that all drivers have to face. LED Headlights: Each and every RDX sports Automatic High-Beam Headlights and LED Daytime Running Lights. Together, they’ll give you more time to respond to changes in the road ahead. Blind Spot Information: In the RDX’s Technology, A-Spec, and Advance Packages, a Blind Spot Information System and a Rear Cross-Traffic Monitor can help you keep track of activity innormally hard-to-see areas. Both use audiovisual alert systems to warn you whenever another vehicle has the potential to cut you off. Parking Sensors: Parallel parking doesn’t have to be a stressful experience. The RDX’s front and rear parking sensors alert you when you’re inching too close to another driver’s vehicle, beeping faster or slower to help you measure the distance. They’re standard with the Technology, A-Spec, and Advance Packages. Multi-View Rear Camera: Not all collisions occur when you’re moving at high-speeds, and the RDX’s Multi-View Rear Camera with Dynamic Guidelines help you avoid trouble in tight spaces. On models equipped with the Advance Package, drivers can take advantage of a top-down Surround View Camera System. 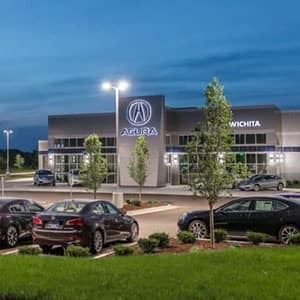 The 2019 Acura RDX’s safety features make it the obvious choice for families from Kansas City and beyond. When you explore our new vehicles and current offers, it’s easy to get a phenomenal deal on the safest SUV around. 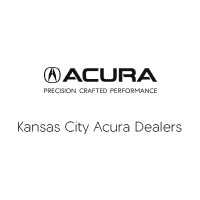 Visit a Kansas City Acura dealer near you to schedule a test drive today!